The music of John McCabe is represented by two works at the 2017 Presteigne Festival. On 26th August at St. Stephen’s, Old Radnor, Katherine Baker performs his short March Sonatina for solo flute, in a morning flute and harp recital with Suzy Willison-Kawalec. Two days later, on 28th August at St. Andrew’s, Presteigne, members of the Leonore Trio will include his 1999 Sonata for Cello and Piano, in their Memorial Concert for Mary Nolan. This Sonata was originally commissioned by the Presteigne Festival for performance by Alice Neary and Gretel Dowdeswell. 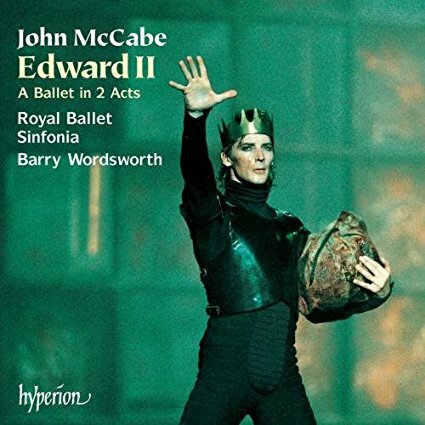 The material for the work is drawn to some extent from the music for the ballet, Edward II in which at two important points the cello becomes the ‘voice’ of Edward. However, in his programme note John McCabe explains the relationship between the music of these sections and the Sonata is more complex than is usually the case with a concert piece deriving its fundamental ideas from a music theatre work. Indeed the opening idea of the Sonata occurred to him some years before the ballet was thought of. He mentions that, in addition, other themes heard in the ballet have strong connections with the opening of the work – ‘so there is a strong familial relationship between the two pieces, and the flow of ideas goes back and forth between them’.